Video game delays are part and parcel of the industry. Even in an era when games launch with dysfunctional servers (sometimes even requiring a patch bigger than the game itself), developers often find themselves having to hold release for a few weeks so they can tweak their game to perfection. We saw it most recently with Mirror’s Edge Catalyst, and with Naughty Dog’s Uncharted 4 last month. These delays don’t just put gamers on edge, though: they put retailers to the test, as they too have to alter and change schedules to adapt to the new release date. Most of the time, retailers deal with the change in date without a hitch (or is it glitch?). Sometimes, however, there’s a breakthrough, as games are released well before the intended release date. Amazon, for example, appears to have forgotten to amend their own internal release scheduling. 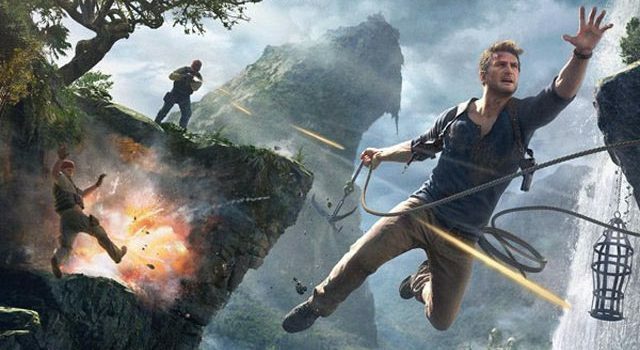 Some customers who had pre-ordered Uncharted 4 through the online merchant found themselves receiving shipping updates some two weeks before the game was expected to launch. Thankfully for Amazon, no copies of the game were actually sent out, but automated systems can sometimes send online stores crashing amidst an unexpected fluctuating of orders. We’ve all rushed to an online store stocking something we know is hard (or impossible) to find anywhere else. Some stores in the UK haven’t been as watchful of their automated system. One user was selling a retail copy of Uncharted 4 on eBay, although they were quick to remove it once media outlets pick up the auction. Two Twitter users managed to get their hands on the game, tweeting out photos of their copies to their followers. Sony and Naughty Dog can’t be happy. Neil Druckmann, Uncharted 4‘s creative director and an Uncharted stalwart that looked after Uncharted 1 and Uncharted 2, not to mention The Last Of Us, reached out to his Twitter fans with a word of warning about spoilers. Uncharted 4 is just two weeks away! As we get closer it’ll get harder and harder to control leaks. Stay vigilant. Big surprises in store. We’re two weeks away from Uncharted 4, but some folks around the globe already have their lucky hands on a copy of the game. FENIX Bazaar has been told by SCEA that review copies will be sent out next week (at the earliest), allowing reviewers a week (at the most) to play the game before embargo lifts closer to release.